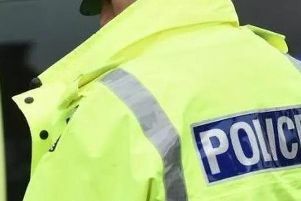 A man was punched in the face and had his belongings stolen during a daylight robbery in Dewsbury. The 35-year-old was walking down Oxford Road at 4.20pm on Thursday when he was approached by two men. One of them punched the victim in the side of the head and stole his mobile phone and money. The first suspect is described as white, 5ft 11 of a slim build wearing dark clothing and a baseball cap. The other man is white, stocky build, mousy blonde hair, and was wearing blue jeans and trainers. Kirklees CID is appealing for witnesses and anyone with information should call police on 101 or Crimestoppers anonymously on 0800 555 111.